Pure has teamed up with Sanderson to bring a stylish range of designs to its range of impressive digital radios. The Evoke Mio D2 and D4 are both in line for the overhaul that sees 'Chelsea' and 'Dandelion Clocks' designs by Sanderson added to the exterior in a range that will only be available to buy at John Lewis. Both designs are incredibly popular fixtures in Sanderson's range. 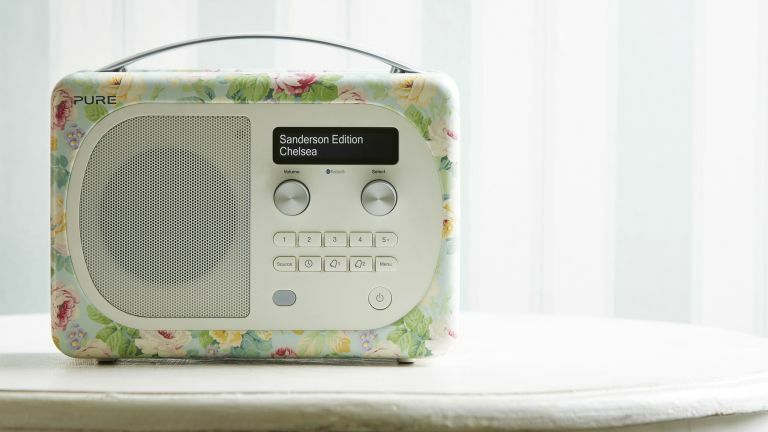 Chelsea has been a part of the furniture since 1957 and gives a floral touch to the digital radios. The Dandelion Clocks print, meanwhile, is one of the company's best selling prints and was launched back in 2008. For those not familiar with Pure's range, the Evoke Mio D2 is the smaller of the two products and features high quality speakers, Bluetooth technology for wireless streaming, an aux input, sleep timer, and it offers 20 hours of portable per charge if the rechargeable pack is bought. In comparison the larger Evoke Mio D4 has all the same features with the addition of a remote control, snooze handle, more presets and 12-15 hours of playback per charge. The range starts off with a suggested retail price of £149.99 for the Evoke Mio D2 whereas the Mio D4 comes in at £199.99 and both machines are available right now.